Ever wanted to see what your friends impulsively buy online? 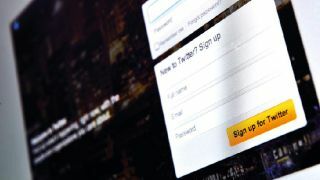 Treating yourself to a bit of retail therapy on Twitter could soon be a reality following reports that the microblogging giant is near to closing a deal with payment company Stripe and online commerce site Fancy. According to online documents and images discovered by Re/Code, it's all part of a new program called "Twitter Commerce". They point towards a payment system whereby Stripe takes the role of back-end processing of purchases while Fancy will let users buy products from the Twitter website and from within its app. One of Re/Code's sources told the site that the mockups were created by Fancy to get across its vision of how a commerce project would pan out. Commerce tweets will appear inside of people's Twitter streams, in something not unlike the company's promoted tweet feature. They will also show in the "Discover" section of Twitter where users will apparently be able to see the items the people they follow have bought. Anyone clicking on a product shown will be taken to a description of the item and prompted for purchase information. This renewed interest in commerce from Twitter, which has rejected options of this type before in its history, could stem from its recent public float where the possibility of future revenue streams for the social network was brought up by its critics. At this time it's not clear what share of the sales on its platform Twitter will receive, when "Twitter Commerce" will launch or how many firms may have voiced their support for it.